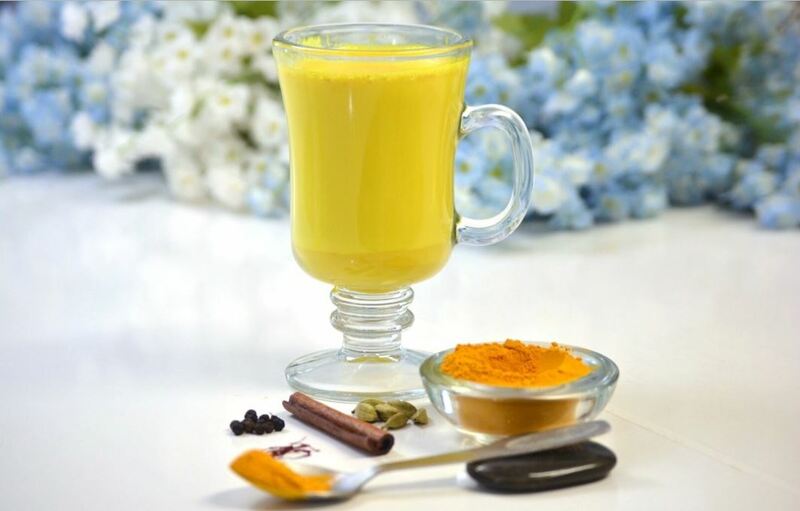 It has been an ancient tradition to drink turmeric milk (haldi doodh) as a cure for all aches and pains. Now Starbucks serves it as Golden latte – an unlikely combination of nut milk and juiced turmeric root – is the current drink of choice. Turmeric has many benefits for health and beauty. So just add this ingredient to milk to get many health benefits! Its really easy to make – All you have to do is to boil milk with half a teaspoon of turmeric powder or a 1-inch piece of fresh turmeric for 10 to 15 minutes. And voila! Your superdrink is ready. Here is yet another version of turmeric milk with another superfood – ginger. Both ginger and turmeric have incredible anti-inflammatory properties, which means this soothing and delicious ginger turmeric almond latte is also really good for you. Mix everything in a pot and bring to a boil. This spice has been known to be used as a blood purifier in ancient Ayurveda medicines. It improves blood circulation and stimulates the lymphatic system, which is the body’s natural drainage mechanism. It also helps your liver detoxify the rest of your body. Turmeric’s anti inflammatory properties have other benefits as well. One of them is its ability to soothe the pain, swelling and inflammation associated with arthritis. This drink strengthens your bones and joints and improves flexibility as well. Turmeric is loaded with antiseptic and anti-inflammatory properties that help battle infection as well as the symptoms of a cough or cold. The antiviral properties of this spice boost your natural immunity and prevent the multiplication of viruses, thereby protecting you against infections like hepatitis. Research also suggests that turmeric slows down the progression of Alzheimer’s disease and even reduces the risk of cancer. Turmeric is rich in antioxidants as well as several nutrients, so it works like a natural painkiller against headaches, especially those that are caused by congestion. 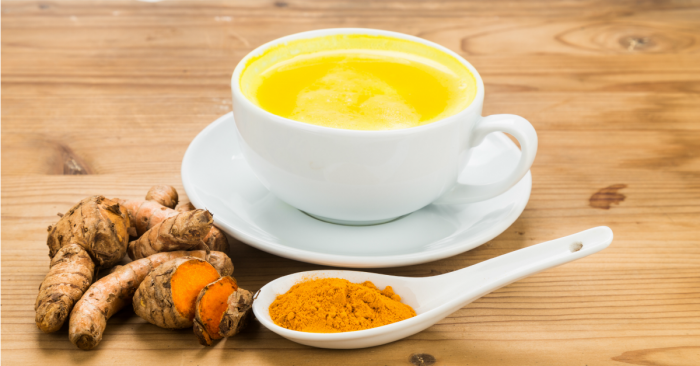 Drinking a warm glass of turmeric milk an hour before bed can help you get much better sleep. Serotonin and melatonin in milk, combined with turmeric’s ability to reduce stress will relax your body and help you to fall asleep easier. Due to antiseptic and antibacterial properties, turmeric milk is effective in curing indigestion and preventing ulcer and diarrhea. Turmeric helps to breakdown of dietary fat, so it helps to control weight.